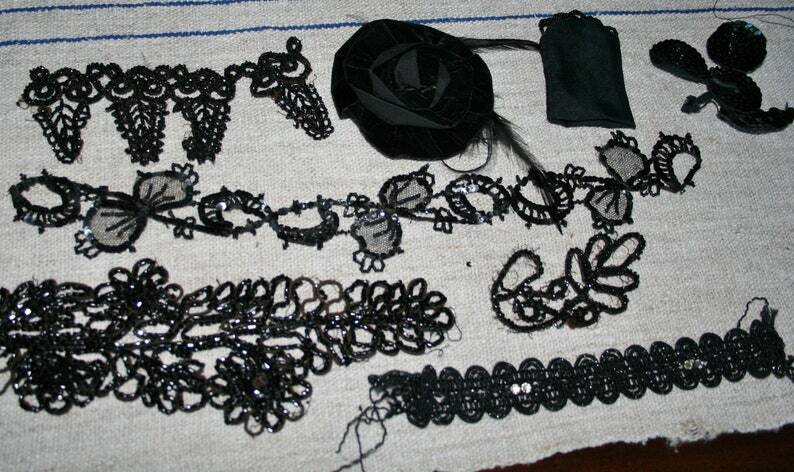 Here is a lot of 8 pieces of black trims and embellishments. Included are several pieces that are edge trim, a few pieces that could be used along (like medallions), one sequined floral spray, one velvet ribbon rosette and one little pouch with beaded trim. 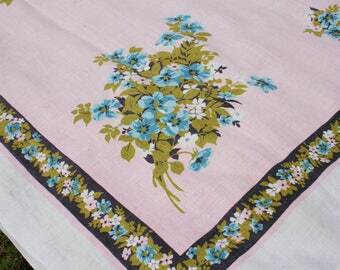 These were originally owned by a woman who made historical doll clothing and hats. She used these trims as embellishments. All in all these are in very good condition. A few have some beads missing from the cut ends, but most are completely intact. There's a lot here to use! 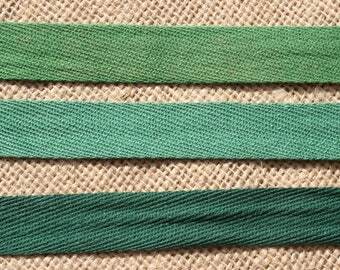 You'll have fun adding these to your sewing projects.